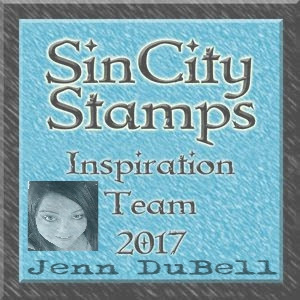 Hello Sin City Stampers!! Today I want to share this adorable home decor for Fall, titled "Autumn's Splendor". This is my favorite time of year with all of the falling leaves and beautiful colors. I hope this season is as inspirational to you as it is to me! Gather your supplies to start. Alright! Let's get started on this fun Fall project! 1. Cover your canvas entirely with black gesso and allow to dry. 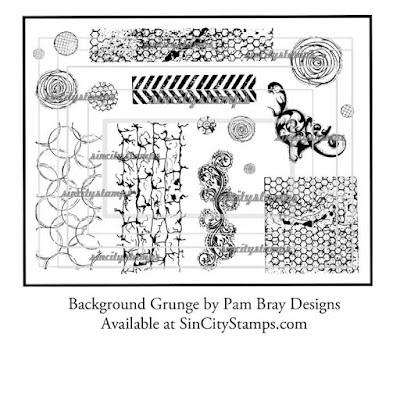 3.Sprinkle over stamped areas with clear or iridescent embossing powder, heat set and let dry. 4. Arrange your flowers and embellishments on canvas to get an idea of how you want it to look. 5. 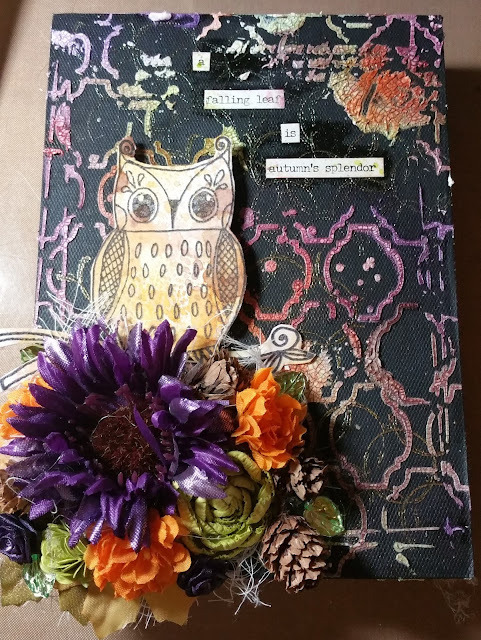 Using watercolor paper and an array of brown and gold sprays, create a background as shown. 6. 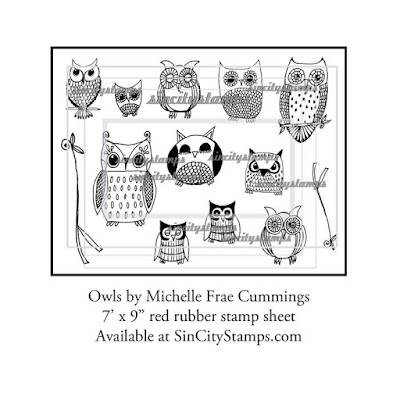 Stamp your owls onto the water-colored background using black archival ink. Cut out the larger owl (or whichever you choose) and set aside. 7. Use crackle paste through a background stencil all over your canvas and let the paste dry completely. You can use a heat tool to speed up drying, however allowing it to dry naturally will result in a much better crackle look. 8. Once dry, start spraying ink colors light to dark in random areas all over the canvas. Dry color before applying the next. Adding a spritz of water to sprayed color will help spread into cracks. 9.Apply a sentiment. 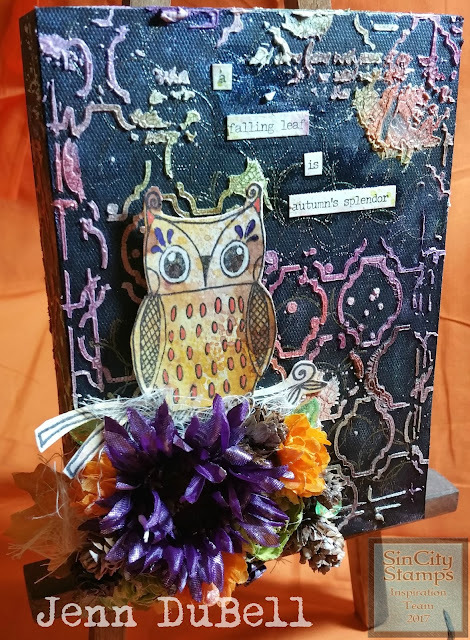 Use a clear gluing agent to cover the sentiment area and let dry. This ensures that any more ink applied will not cover lettering. Here are a few close-ups to show detail. Finally, add your owl using foam dots to add depth. Add flowers and brush them lightly with a pearlizing medium. Once everything is dry, cover your owl with a small piece of plastic and spray canvas with iridescent spray! Just adds that nice shimmer! !